A great deal has been written over the years on the Palestine-Israel conflict, and the creation of the Palestinian refugee problem. However, few works on the subject really present the personal aspect: What is it like to be a refugee? What propels a decent human being to take up arms, to become a freedom fighter or a "terrorist?" This book reveals the story of my journey from childhood in Nahr El Bared Palestinian refugee camp in Lebanon, becoming a PLO activist, eventual emigration, a new life as an engineer in the United States, and a 'return' trip to historic Palestine. Running parallel to the personal narrative, the book also documents the story of Nahr El Bared itself: the story of a refugee camp that grew from an initial clump of muddy UN tents to become a vibrant trading centre in north Lebanon, before its eventual destruction at the hands of the Lebanese army as they battled with militants from Fatah Al Islam group in the summer of 2007. Throughout it all, the spirit of the remarkable people of the camp shines through, and the book provides a moving testament to how refugees in Lebanon have managed to persist in their struggle for their "right to return", as well as survive socially, economically and politically despite more than sixty two years of dispossession, war and repression. Every people in the world lives in a place. For Palestinians, the place lives in them. My promise is a story that will move you emotionally and challenge you intellectually. It is heartrending, yet joyful. 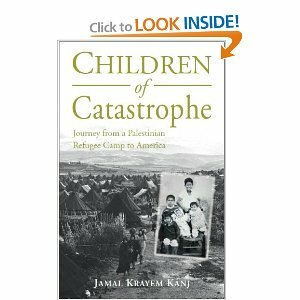 In this book, I invite you to a journey into the daily life of a refugee to discover hope and the “place” that lives inside every Palestinian.